This photograph looks like any average American family on holiday in 1909. The patriarch sits proudly on a boulder, an arm resting to the side and suggesting a casual manner to his personality, while his dutiful son sits behind him. His daughter stands in an impressive profile pose to his right, her head resting on her hand just the same way her mother was photographed fifty years before that family holiday. She is the family matriarch now. To her right, her mother-in-law and husband stand off to the side, as if they know they will never be as important to her as her father, who called her his soulmate. Three young girls stand scattered among the boulders, certainly listening to their grandfather’s deep baritone voice reciting details of his time there in his youth. They look like an average American family on holiday but they’re not. They were the Chamberlain family. 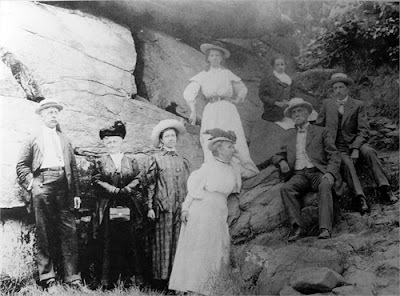 The old man lounging on the boulder was General Joshua Lawrence Chamberlain and those people were his children, grandchildren and in-laws gathered at Devil’s Den in Gettysburg in 1909. To be a fly on a boulder, right? Joshua Lawrence Chamberlain only had two surviving children out of five and of the two, only Grace married and had her own family. She was married on April 24, 1881, to Horace Allen, the son of her parents’ friends. It wasn’t until 1893 that she began having children. 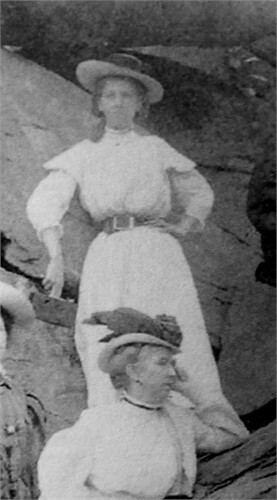 Eleanor Wyllys Allen in 1909. Eleanor Wyllys Allen was born on December 13, 1893, in Boston, Massachusetts. She was described as being 5 foot 8 inches tall with a high forehead, hazel eyes, a straight nose, a small mouth, dark brown hair, a receding chin, olive complexion, and an oval face. To me, she looked quite a bit like her grandmother, Fanny Chamberlain. It can be said that Eleanor possessed her grandmother’s independent, stubborn and ambitious nature as well. By 1919, Eleanor defied the ideal womanly role of wife and mother by earning her undergraduate, master’s, and doctoral degrees from Radcliffe University. She also graduated from Portia Law School, and studied at Yale University Law School, as well as the University of Brussels. She became a legal scholar, specializing in International Law, as well as an author, and a foreign service official of the Department of State. In time, Eleanor’s accomplishments mounted as she became the author of “a well-regarded study of the position of foreign states before national courts.” Additionally, she served several years as curator of the Olivart Collection of International Law in the Harvard Law School. Much like her grandfather, Joshua Lawrence Chamberlain, Eleanor was fluent in four European languages. 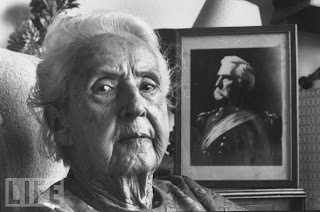 In 1945, she served her country by becoming a member of the State Department Foreign Service, serving in Austria, Switzerland, the Netherlands and United Kingdom. Having never married, Eleanor nevertheless led a fulfilled life and passed away on September 13, 1973. 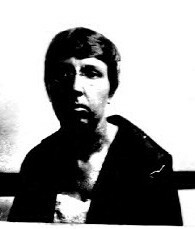 Eleanor Wyllys Allen in 1921. 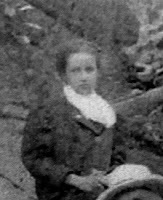 Beatrice Lawrence Allen in 1909. Beatrice Lawrence Allen was born after Eleanor on January 24, 1896, in Roxbury, Massachusetts. 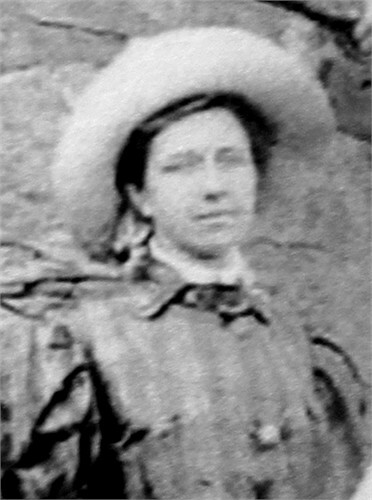 Little is known about Beatrice, although she was described as being 5 foot 7 inches tall with a high forehead, gray eyes, a slightly roman nose, a straight mouth, light brown hair, fair complexion, and an oval face. Unlike her older sister, she looked more like her grandfather than her grandmother. Also unlike her career-driven sister, Beatrice chose a more traditional life when she married David Longfellow Patten at the All Saints Episcopal Church in Brookline, Massachusetts, on April 2, 1918. A graduate of the Massachusetts Institute of Technology, he was described as being 6 foot 1 inch tall with a slender build, blue eyes, dark brown/black hair, and a fair complexion. He served in the US Army during WWI as a lieutenant and in 1919, he was a second lieutenant in the Coast Artillery Corps. After WWI, David became an electrical engineer and then a banker. Not much else is known about Beatrice except that she passed away relatively young on January 15, 1943, in Seattle, Washington. 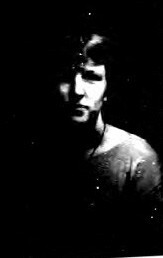 David lived until 1981. The Pattens never had children. Beatrice Lawrence Allen in 1924. Marriage announcement for Beatrice and David. Youngest of the Allen daughters, Rosamond was born on December 26, 1898, in Roxbury, Massachusetts. She became the most well-known of Joshua Lawrence Chamberlain’s granddaughters, at times, in my opinion, capitalizing on his fame. Like Beatrice, she never married or had children. She was described as being 5 foot 5 inches tall with a high forehead, brown eyes, a roman nose, a small mouth, dark brown hair, medium complexion, and a full face. She was an interesting physical blend of her mother, father, grandmother and grandfather. Rosamond became the spokesperson for the Chamberlain family, mainly because she lived to be 102-years-old, vastly outliving the rest of her family. She finally died in 2000, the same year I graduated high school. In 1990, People magazine did an article on descendants of Civil War veterans. Here is Rosamond’s piece of the article. I believe the Civil War series reference is to the Ken Burns series. 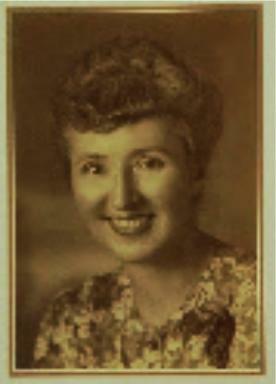 Rosamond is largely responsible for the negative impression historians have of her grandmother, Fanny. She described her as a cold, unfeeling, bitter woman, but people fail to understand that Rosamond was born after her grandmother lost her eyesight and became dependent on family members and nurses. A woman who was, in her youth, so independent and stubborn, often fell into depression in her declining years. Rosamond was only six-years-old when Fanny died and would not have understood the things she endured in her life. Still, historians tend to take Rosamond’s skewed view on things as the gospel truth, with the exception of Diane Monroe Smith. According to Wikipedia, upon Chamberlain’s death in 1914 his daughter, Grace Allen inherited the home and its contents. Grace rented rooms in the home from 1916 until her death in 1937, when her daughter, Rosamond Allen, inherited the home. Rosamond sold the home and most of its contents to Emery Booker in 1939, who divided the building into seven apartments which were primarily used by Bowdoin College students. In 1983, the Pejepscot Historical Society purchased the building from Booker’s estate for the price of $75,000, and opened the home as a museum in 1984. When Rosamond inherited the home and sold it, she unknowingly scattered an unbelievable treasure trove of family heirlooms and artifacts to the winds, many never to be seen again. She ripped the buttons and shoulder boards from her grandfather’s Civil War uniforms and threw the wool away. Rumor has it that what she couldn’t sell, she left in boxes on the sidewalk in front of the house and let people pilfer through them, leading to endless frustration for Chamberlain historians today. Stephen Allen, a Boston businessman and lawyer, arrived in Duxbury in 1870. Allen was a self-made man from New Hampshire, who made his fortune largely in Boston real estate. He came to Duxbury to find a summer home and quickly realized the potential for profit in the town’s seaside farms, and proceeded to buy as much as he could of the old Myles Standish farm and its surrounding neighborhood of Captain’s Hill. At his death in 1894 he left his estate to his son Horace. After Horace’s death in 1919, the property passed to his three daughters: Beatrice, Rosamond and Eleanor. In 1939, they divided the property into three parts. Rosamond Allen received about 12 1/2 acres, and moved her family’s former barn, by then changed into a garden guest house, onto her portion of the estate. In 1980 she left her beloved Duxbury estate to the regional Unitarian Universalist Church association for a retreat house known as Cedar Hill. It served as a place for area Unitarian Universalists to relax and reflect for 30 years. This flag is an Army of Northern Virginia, 6th wool bunting issue. It was manufactured at the Richmond Depot during the winter of 1864-1865. It was returned to the State of Alabama in June 1943 by Mrs. Rosamond Allen, South Duxbury, Massachusetts. Mrs. Allen was representing the heirs of Joshua L. Chamberlain of Maine. The flag of the 5th Alabama Battalion, captured during “Picketts Charge” at Gettysburg was returned at the same time. It is unclear as to how Chamberlain came into the possession of either flag. While this flag was listed as “Alabama flag not positively identified,” by Department staff, evidence suggests that it may be the flag of the 43rd Alabama Infantry. In Major General A. A. Humphrey’s report concerning the action near Hatcher’s Run, Virginia, March 25, 1865 he states that “we captured the battle flags of the Forty-third and Sixty-ninth1 Alabama.” At the time of the engagement Brigadier General Joshua Chamberlain commanded the First Brigade, First Division, Fifth Army Corps. During the engagement Chamberlain placed the 185th New York Infantry (Colonel Gustavus Sniper commanding) in the front line in a space between the Divisions of General Miles and General Mott. The men at Colonel Sniper’s front consisted of the 43rd, 59th and 60th Alabama Infantry. Lt. Col. Charles H. Weygant, 124th New York Volunteers, also reported engaging these regiments and capturing the flag of the 59th Alabama Infantry. While the flag of the 59th Alabama was forwarded to the War Department, there is no record of the disposition of the flag of the 43rd Alabama. Since General Humphrey does report the capture of the 43rd Alabama’s flag and there is no record of its having been sent to the War Department it is possible that the flag was taken (picked up) by the men under Sniper’s command and retained by Chamberlain as a trophy. Rosamond Allen in Life magazine in around 1990. >So interesting! Thank you! I'd seen the Devil's Den photo and the Life mag photos of Rosamond at PHS, but not the others. Very cool. Thanks for taking the time to fill in the background of the Chamberlain heirs. Rosamond certainly seems like a strange person. I wonder why she treated her grandfather’s mementos so causally. But she is not alone. I have a relative who came into possession of a house. In there was a treasure trove of the diaries, medals, photographs etc of a World War 2 veteran. All were thrown into the garbage despite my urging to preserve them and send them to an appropriate museum.